The Hannover Messe 2019 will see Schaeffler presenting its TorqueTracking system for industrial drives in a wide range of applications for the first time: From mining and construction machinery through to winches, wind power, and marine drives. The innovative solution goes beyond conventional vibration analysis and includes a precise torque monitoring function, thus combining the recording and preprocessing of the relevant operating data with in-depth condition monitoring expertise. 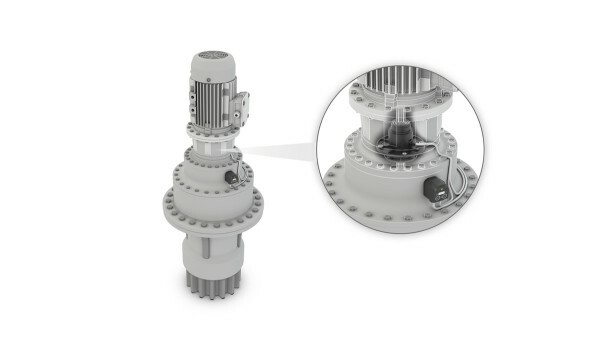 This means that not only the condition of gearboxes but the actual loads to which they are subjected can be traced at any time, which offers decisive advantages for operators and service providers as well as opening up interesting options for gearbox manufacturers. The TorqueTracking system – a smart combination of torque monitoring and condition monitoring. The TorqueTracking system can easily be integrated into the overall application as a compact, independent retrofit solution for gearbox manufacturers. 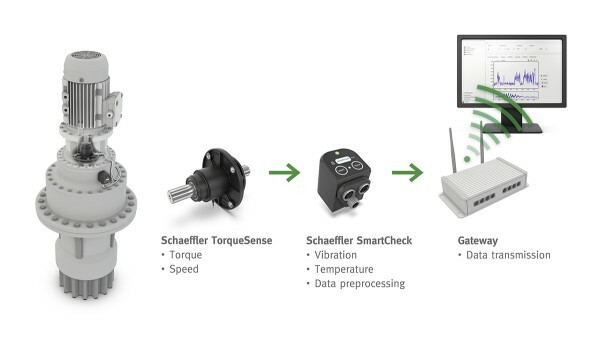 The Schaeffler TorqueTracking system is based on our proven SmartCheck and TorqueSense measurement systems. While the SmartCheck’s vibration diagnosis identifies incipient damage at an early stage, the TorqueSense module’s precise torque signal allows parameters such as load peaks and their frequency to be detected and limited. The intelligent preprocessing of the relevant data here takes place directly in the SmartCheck, which has the necessary processing capacity to carry out a load classification for torque, speed, and temperature. The TorqueTracking system can easily be integrated into the overall application as a compact, independent retrofit solution for gearbox manufacturers. Connection to the machine control system is not necessary but still possible as an alternative. The information about the load distribution can then be used to synchronize several drives, for example. 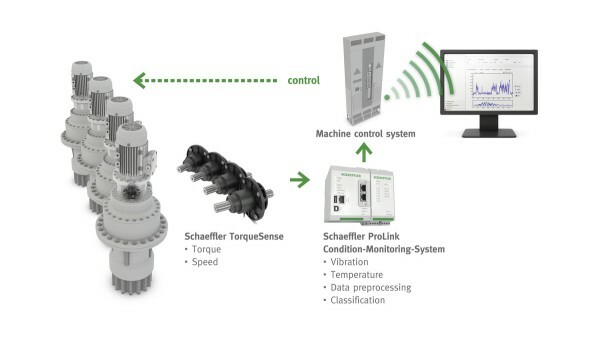 The Schaeffler ProLink condition monitoring system then performs the data preprocessing and vibration analysis. It supports all common field bus protocols, can easily be integrated into the process automation, and is ideally equipped for cloud communication. Depending on requirements, the flexible TorqueTracking system can also be integrated into the machine control system. The TorqueTracking system can increase the availability of drives and reduce maintenance costs. 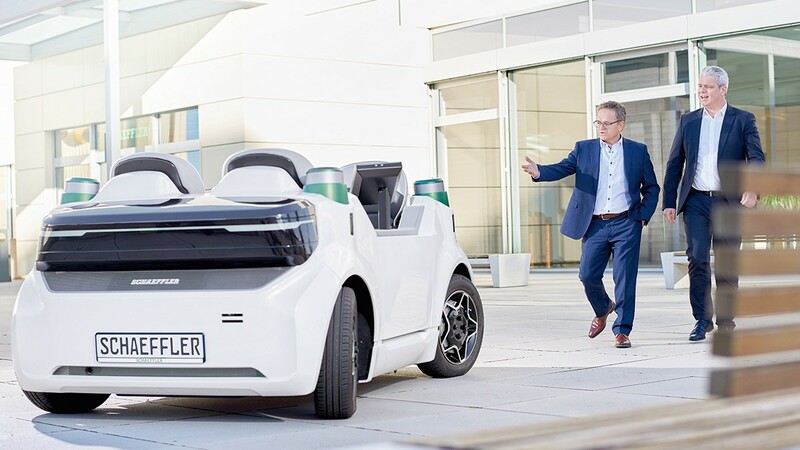 It can also be easily retrofitted by manufacturers and delivers valuable data for optimizing the gearbox design.